This article discusses the formation of Lawas District and how it joined the Sarawak Government as the last district in Sarawak's expansion since 1841. The discussion will be divided into two parts based on the event at Sungai Trusan and Sungai Lawas. During Brunei’s administration, all the lands were divided into three categories consisting of sungai Kerajaan, sungai Kuripan and sungai Tulin. The Sarawak Government and British North Borneo Company (SBUB) competed against each other to take over the lands in the Gulf of Brunei until the end of the 20th century. How does the competition between the two governments and the involvement of Wazir in Brunei ends with the fall of the Sungai Trusan to the Sarawak Government? What is the problem in the Sungai Lawas that caused the SBUB Government to hand over the area to the Sarawak Government? How does the Sarawak Government resolved the claims of the pengirans and Brooke Johnson to fulfill the British Government's requirement to take over the Lawas River? The findings show that the protest from the people of Sungai Lawas became an important element leading to the submission of Sungai Lawas to the Sarawak Government. Accquirement of both rivers by the Sarawak Government has succeeded in establishing peace and maintaining stability in the lives of the residents of the Trusan River and the Sungai Lawas. MOHAMAD BUSTAMAM, Habid’s Buhigiba bin; MANSOR, Suffian Bin; SAMSUDDIN, Mohd. Bin. PEMBENTUKAN DAERAH LAWAS SEBAGAI DAERAH TERAKHIR BERSAMA KERAJAAN SARAWAK (THE FORMATION OF LAWAS DISTRICT AS A LAST DISTRICT IN THE SARAWAK GOVERNMENT). SEJARAH: Journal of the Department of History, [S.l. ], v. 27, n. 1, aug. 2018. ISSN 1985-0611. 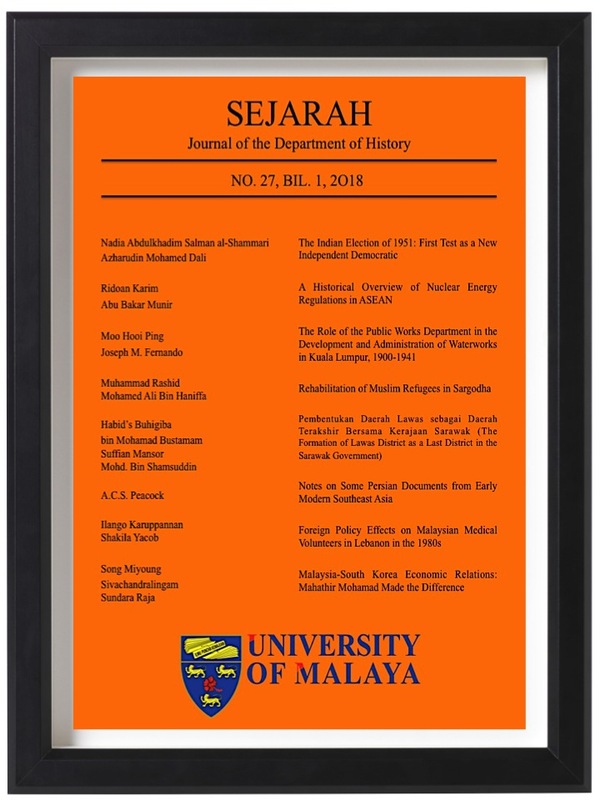 Available at: <https://ejournal.um.edu.my/index.php/SEJARAH/article/view/11356>. Date accessed: 22 apr. 2019.